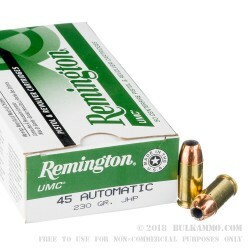 This 45 ACP cartridge from Remington’s UMC line of ammunition sports a 230 grain jacketed hollow point projectile, which is the original bullet weight for its caliber. The bullet’s jacket features notches around its tip which create fault lines along which expansion can reliably occur. The bullet’s jacket further improves performance by facilitating penetration as well as feeding in semi-automatic weapons. 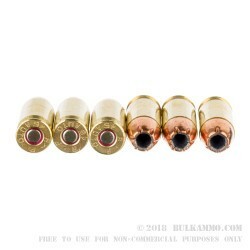 This American-made round features a first-quality factory fresh brass casing, reliable and clean firing Kleanbore primer, and clean burning propellant. Its 835 fps muzzle velocity is subsonic and more than adequate to ensure proper expansion, even if its bullet must pass through several layers of fabric en route to its target. If you’re looking for a hard-hitting and hard-working self-defense round, this one is is a great investment -- and with 500 to train with, you’ll have more than ample opportunity to familiarize yourself with the ammo you would stake your personal safety on! 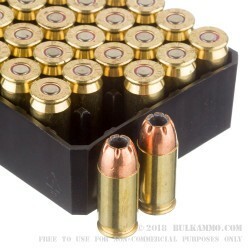 I bought 1000 rounds and I have shot 200 through two of my guns. Not one misfire, they are on target, and runs cleaner than any other manufacturer. As for a bargain? 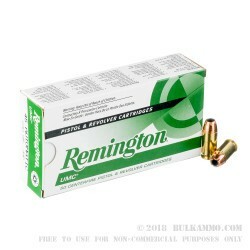 There are no bargains these days, but when it came to price Bulk Ammo has the best prices you will find anywhere.